This exhibition is communication and information platform in the industry and offers the exhibiting companies the opportunity to present to an audience of experts here. Visitors can find out here in depth and comprehensive information on the latest developments, trends, services and products in various fields. • Accommodation on Twin Share/Single Room. • Airport – Hotel – Airport group Transfers by Our Coaches. • Daily Indian Dinners with a choice from Veg. / Jain Veg. / Non Veg. meal. • Fairground Transfers as per group / Package by Our Coaches. • Overseas Travel Mediclaim Policy (For up to 60 Years of Age). • Package price and all extras are as on 03rd February 2017. 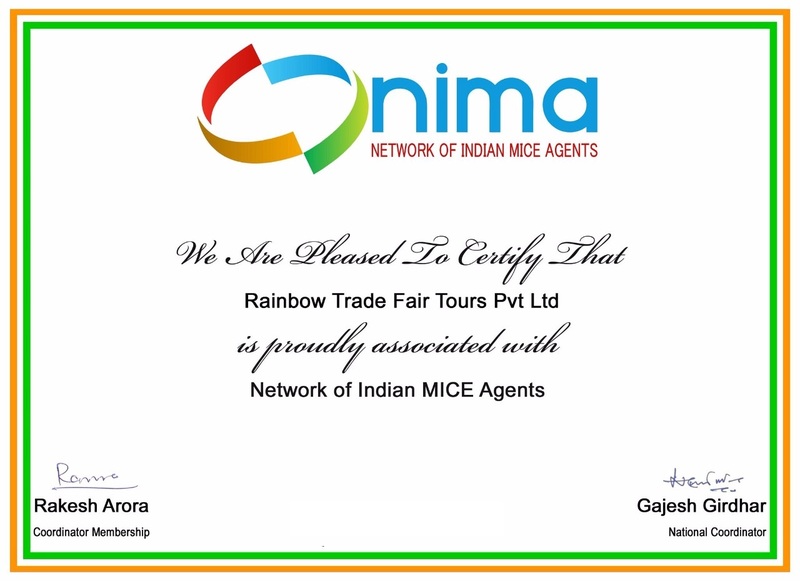 Hence, if there is any increase in the price, the same will be applicable & passenger will have to pay the same directly to Rainbow Trade Fair Tours Pvt. Ltd. prior to the departure. • The entire payment for the package needs to be settled as per the schedule. • Any increase in the Rate of Exchange, increase in the cost of surface transportation & other land arrangements can increase the package price, which can come into effect prior to departure; the difference will have to be paid by you/ your company directly to Rainbow Trade Fair Tours Pvt. Ltd. prior to departure. • The price is based on present prevalent rate of exchange. Any increase in the rate of exchange, which can come into effect prior to departure, the difference will have to be paid by you/your company directly to Rainbow Trade Fair Tours Pvt. Ltd prior to departure.